Please find below details of the third course in our programme on construction forms of contract. 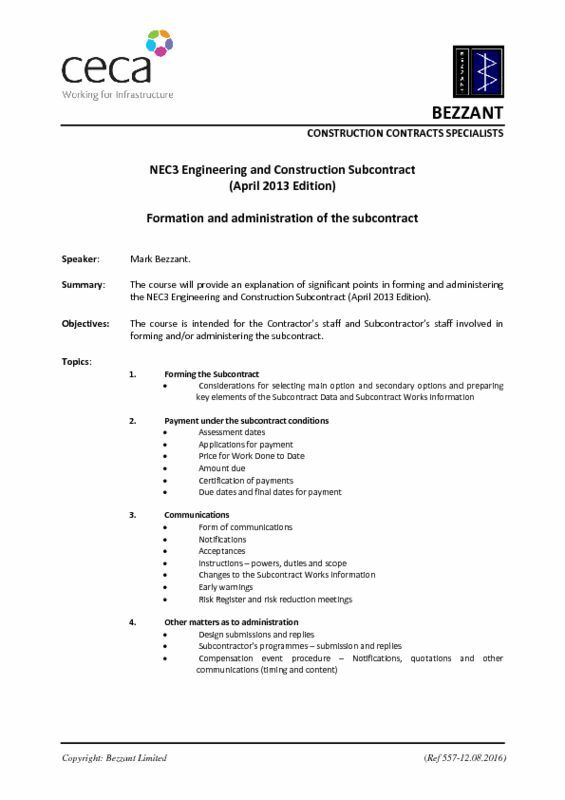 This course is intended for the Contractor’s staff and Subcontractor’s staff involved in forming and/or administering the subcontract. Please see course outline below.